Fresh off his Best Actor Oscar for Manchester By the Sea, Casey Affleck returns with 2017’s A Ghost Story. C (Affleck) and his wife M (Rooney Mara) live together outside Dallas. A struggling musician, C abruptly dies in a car accident. However, this doesn’t end his existence, as he turns into a “ghost”, one who dons a sheet equipped with the requisite two eye holes. C attempts to cope with his status as well as help his grieving wife. Boy, that synopsis sure makes the film sound an awful lot like 1990’s megahit Ghost, doesn’t it? Honestly, I never really considered any similarities until I wrote the summary, as the two offer very different experiences beyond their superficial plot similarities. In both, ghosts can manipulate their environments, but that’s about all they have in common. 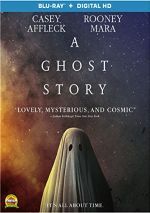 Whereas Ghost packed a fair amount of emotion, action, comedy and drama, A Ghost Story delivers a lot of… not much. Clearly influenced by Terrence Malick’s languid style of storytelling, Story offers an exceptionally slow journey. This seems to work for many viewers, as Story got consistently excellent reviews. I have to admit that I think critics sometimes overrate movies that give them something different, a factor I believe played into the praise for Story. It came out smack-dab in the middle of summer blockbuster season, a time at which most critics probably felt a need for a movie that lacked tons of bombast and product placement. In this case, though, I think critics went too far in the other direction and overpraised Story solely because it offered such a contrast with hyperactive “tentpole” movies. Slow to an extreme, Story packs little movement or development into its running time. Its brief running time at that, as Story spans a mere 92 minutes. Given that lack of cinematic real estate, one might expect a fairly tight narrative here. One would expect incorrectly – really, really incorrectly at that. Story offers a nearly static tale that eventually progresses in its own quirky way, but it never threatens to create an involving experience. Writer/director David Lowery’s sense of pacing becomes clear early when we get a long romantic dalliance between C and M. Don’t expect fireworks, though – in a scene that lasts nearly three minutes, we just see them kiss a little and fall asleep. No, I don’t feel bitter that the film avoids sexual gymnastics, but I think this sequence offers a terrible use of running time. While it conveys a sense of casual closeness between C and M, it doesn’t add much, and the fact it runs so long makes it a liability. Expect more of the same the rest of the way, as Story loves long, long, long scenes with little apparent purpose. Ever want to watch Rooney Mara eat a pie for five and a half minutes? If so, you’ll be happy with this flick. As for me, I think 90 seconds of pie consumption would stretch tolerance, so the choice to let this segment ramble so long becomes perplexing and damaging. We get it: M remains lonely and despondent after C’s death. We don’t need so much self-indulgence to make that point. All of this wouldn’t be so bad if the movie came with some form of real emotional or spiritual payoff, but it doesn’t. We get some vague notions of the afterlife and such concerns, but the film lacks depth and doesn’t explore any of these domains well. Sheetless Affleck only appears in maybe five minutes of the film’s running time, so the rest offers him in obscured fashion – if we assume Affleck really was the one under the sheet. He seems “method” enough that I’m sure he was, but face it – anyone could’ve played C through much of the movie, so the decision to use him in such an unchallenging role feels like a perverse prank. Not that Mara expands her cinematic horizons either. She eats pie and looks glum – that’s about it. 90 percent of my ex-girlfriends did that! A Ghost Story writes spiritual and emotional checks it can’t cash. Sluggish, pointless and pretentious, the film goes nowhere. 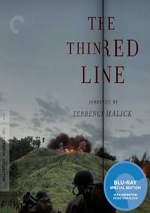 A Ghost Story appears in an aspect ratio of approximately 1.33:1 on this Blu-ray Disc. That’s an odd framing choice, one made even less conventional by the use of rounded corners around the image. Unusual aspect ratio aside, the movie largely looked good. Sharpness mostly satisfied, as only a few minor soft spots materialized. Most of the film boasted nice clarity and accuracy. I saw no signs of moiré effects or jagged edges. Neither print flaws nor edge haloes caused concerns either. Colors tended toward orange and teal, with an emphasis on the blue side of the spectrum. While the hues didn’t impress, they seemed more than adequate for the project. Blacks looked dark and tight, while shadows were usually fine. A few low-light shots appeared a little murky, but those didn’t cause notable issues. Overall, this became a pleasing presentation. Though not especially ambitious, the film’s DTS-HD MA 5.1 soundtrack added some kick at times. Given the movie’s somber focus, the soundscape lacked a ton of punch, but a few scenes – such as on a construction site – brought out nice immersiveness. Music used the channels well, too, and the track created a positive sense of atmosphere. Audio quality satisfied. Music was warm and lush, while effects appeared accurate, with a fair amount of punch when needed. Speech came across as natural and concise. The mix suited the film. When we examine the disc’s extras, we start with an audio commentary from director David Lowery, cinematographer Andrew Droz Palermo, production designer Jade Healy and composer Daniel Hart. All four sit together for this running, screen-specific look at cast and performances, sets, locations and production design, music, editing, cinematography and related areas. This turns into a satisfying commentary, one that touches on a nice array of subjects. The participants interact well and help move the conversation along in a positive way. We learn a lot about the production in this informative track. Two featurettes follow. A Ghost Story and the Inevitable Passing of Time runs 20 minutes, 20 seconds. The program includes comments from Lowery, Palermo, producers Toby Halbrooks and James Johnston, costume designer Annell Brodeur, and actor Casey Affleck. “Time” looks at the project’s roots and development, costumes and cinematography, sets and locations, and cast and performances. Some of the material repeats from the commentary, but we get a fair amount of new material as well. Despite the dopey execution of the conversation – which takes place in the dark – it works pretty well. A Composer’s Story lasts four minutes, 37 seconds and offers Hart’s thoughts on his work for the film. This becomes a reasonably tight little overview. One Deleted Scene goes for five minutes, 56 seconds. Entitled “C Makes Coffee”, it shows… C as he makes coffee. I never thought I’d see something more boring that the segment in which Rooney Mara eats pie – I was wrong. The disc opens with ads for It Comes At Night, Woodshock, The Lovers, The Big Sick and The Hero. No trailer for Story appears here. If you ever thought Terrence Malick was too frenetic and action-oriented, you’ll love A Ghost Story. Slow-paced and aimless, the movie packs languid shots of ephemera with little narrative drive or development. The Blu-ray offers good picture and audio as well as a few informative supplements. Story bores.